I was lucky enough to travel to Seattle earlier this year for work, and in that time I got to spend a few full days and a few more partial days exploring the Emerald City. From fancy art and great outdoor spaces, to underground tours and delicious bites, Seattle seems to have it all, and squeezed into a manageably sized layout to boot. For a new visitor to this spectacular place, here is how I would spend a day blessed with great weather. 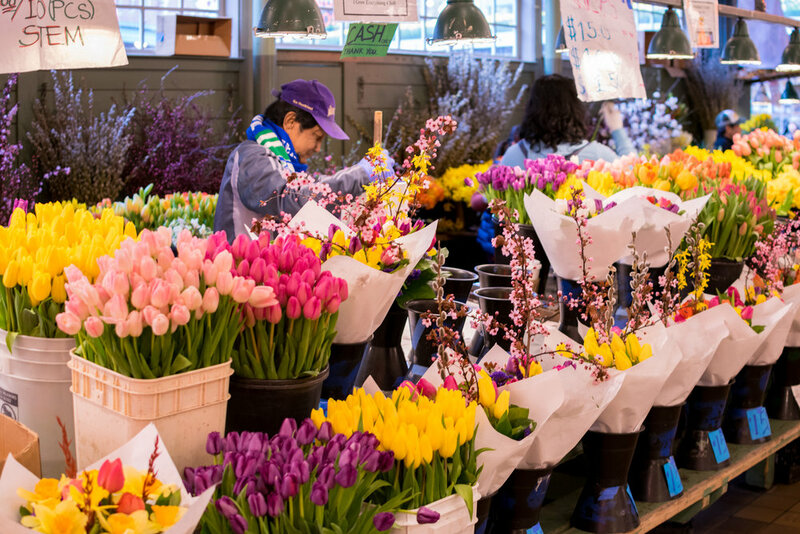 Check out the Day 2 Victinerary for some ideas of what to do if you wake up to a bit of the famous Seattle rain instead, or if you want to focus on the local food scene over seeing the big sights. Spend time being in awe of what this incredible artist (Dale Chihuly) is able to create. I preferred spending an hour or two in this beautiful place and taking shots like the ones below instead of waiting in a huge line for the Space Needle (advance tickets available, but they are time dependent ). Don't worry, I'll show you the best view spot later. I usually think museum cafes are a bit a of a rip off, but this one has really fun decor and I enjoyed my meal there. And of course, you can't find a better location to take a much deserved rest after walking all morning. Once you've had your fill, make your way North to Fremont. This neighborhood is a cool area to just wander around in. Let me know what some of your favorite finds are! I had a rental car when I visited because I was staying in Redmond for work. However, if you're staying downtown, parking can be expensive and mostly unnecessary. For visiting the areas north of the city, I recommend a cab. Have them drop you off on the main corner of Fremont Ave & 34th and explore on foot. Pop into Pipe & Row for some Seattle-inspired fashion to take home, I found my favorite pair of Quay sunglasses here. Once you've seen your fill, make your way back to the water and take a nice 15 minute walk along the bike path to Gas Works Park. The path is easily accessed via stairs next to the Fremont Bridge. If you see signs for Adobe & Google, you're in the right place. At this point you're probably hungry again, so I'm going to give you two options. I went to both of these restaurants on different nights, and I enjoyed both for different reasons. They both have great seafood, outdoor seating areas for good weather, and beautiful views of the city at night. The only big difference is the decor, so I'll let you decide which one you want to see. To get to either, walk along the bike path East of Gas Works (going away from Fremont). Westward is about a 10 minute walk, and Ivar's is 5 more minutes past that. Both are on Northlake Way, so just keep the road in view from the path. Westward has a modern feel and a very unique bar. I enjoyed talking to the bar staff and eating a delicious fresh catch. Ivar's Salmon House is done up like a pacific northwest native american long house. 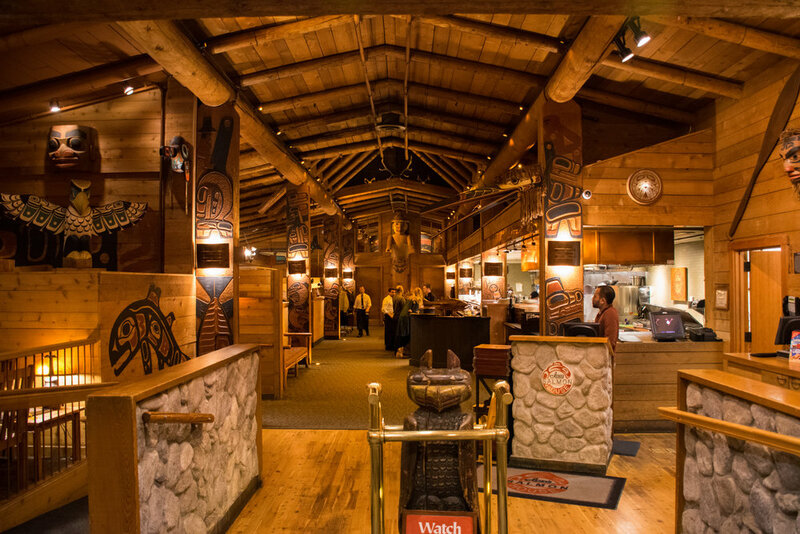 Totem poles and the like abound and make for a truly unique dining experience. To cap off a full day, catch a cab back to your hotel downtown. On the way, make a pitstop at Kerry Park for the best view of the city when it's all lit up. 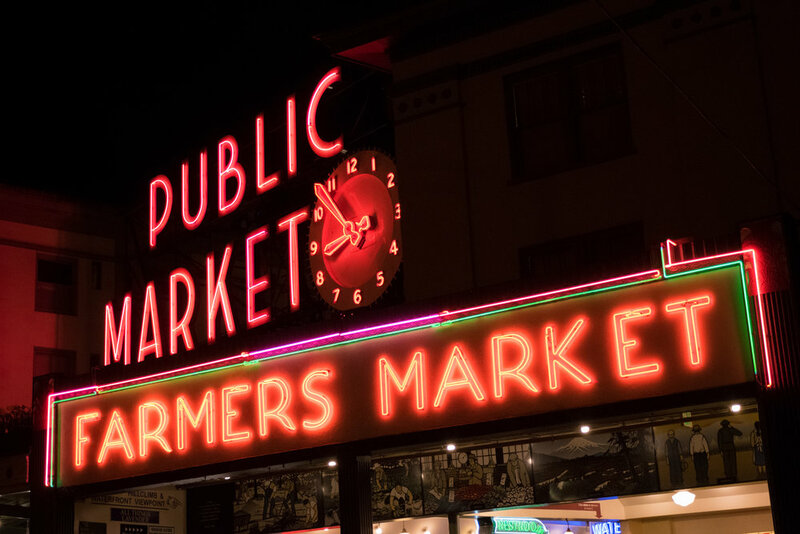 If you get downtown and have the energy for a nightcap, head back to where you started the day at Pike Place Market. Follow the hallway under the main sign to find a hidden gem, Maximilien. You can sit at the bar for a drink, or grab a table with a view of the Puget Sound and try the dessert menu (it's french). I hope you enjoyed this day in Seattle, if you follow my footsteps or even just use one of the suggestions, please let me know in the comment section below about your experience!